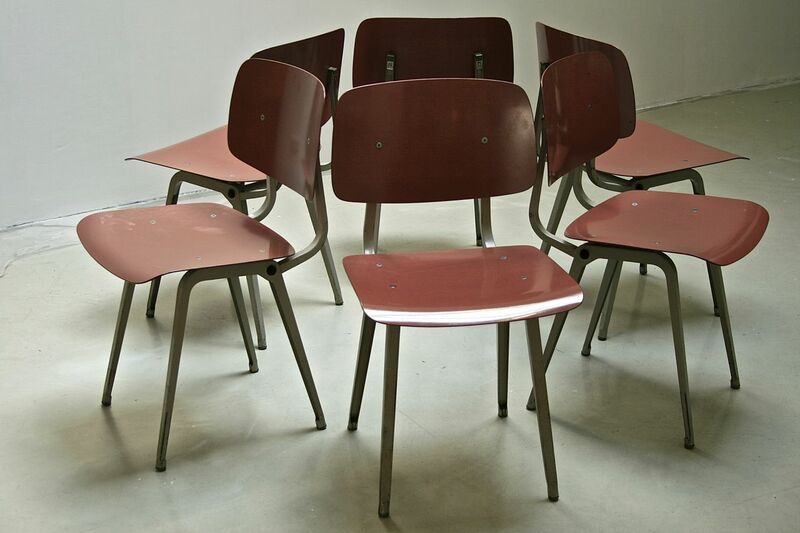 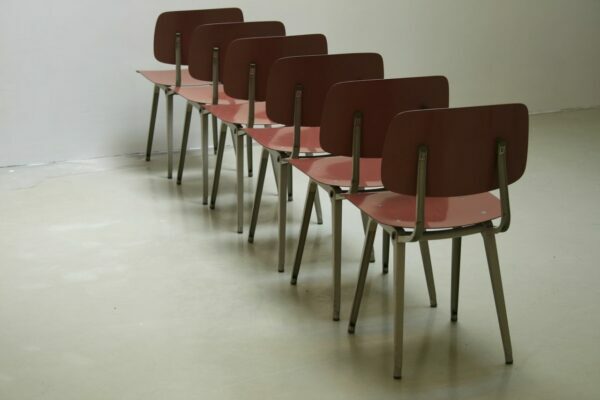 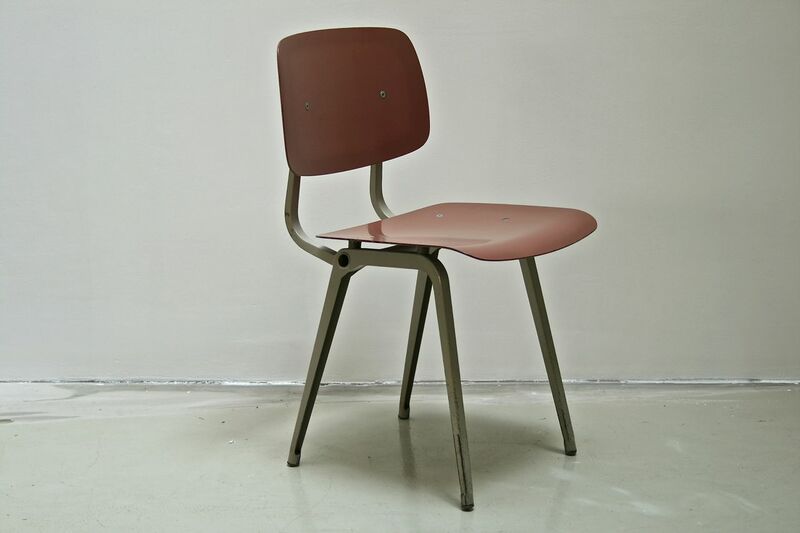 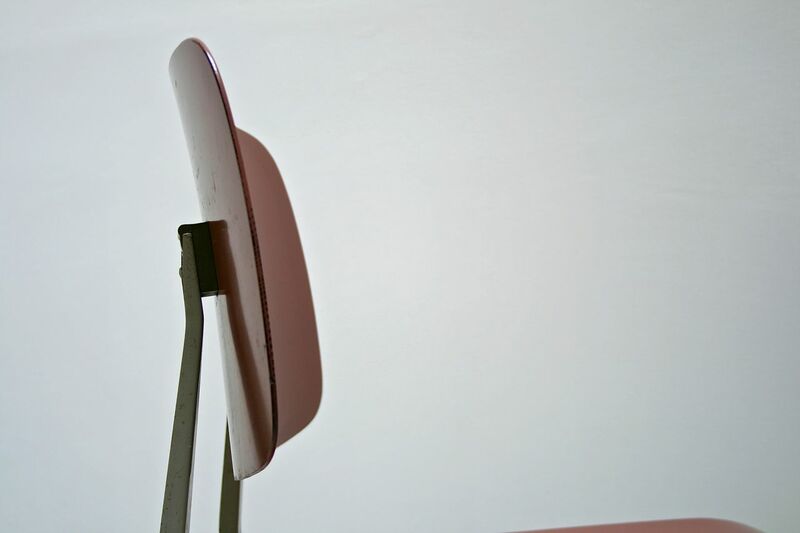 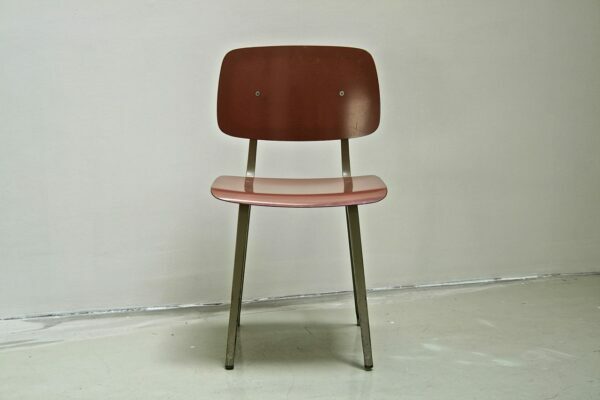 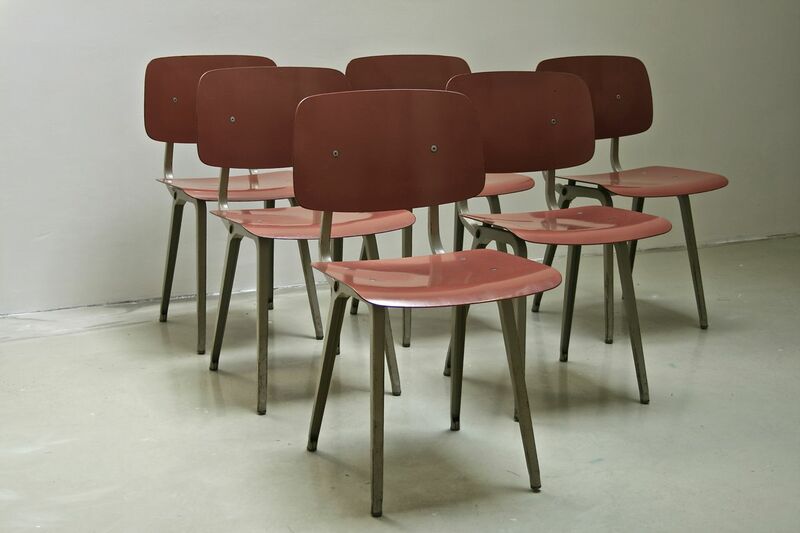 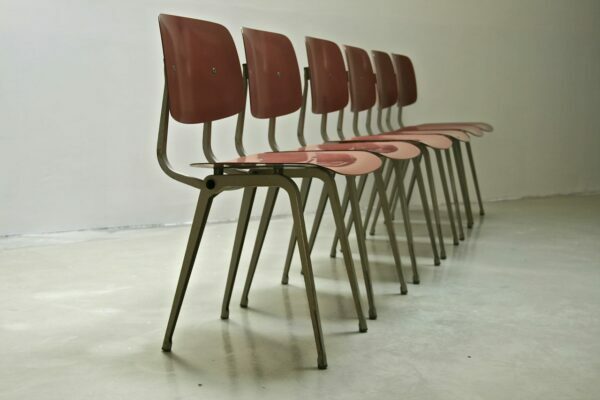 2 Revolt chairs designed by Friso Kramer in 1953 for Ahrend de Cirkel. 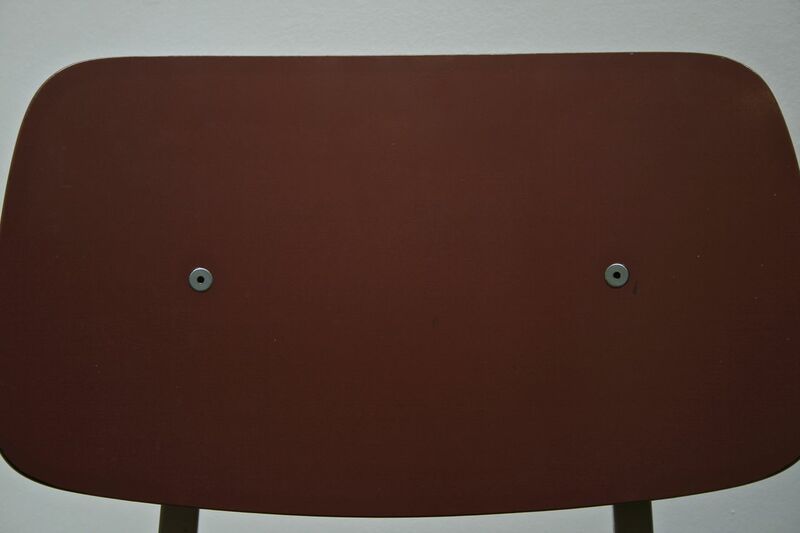 Grey metal structure and pink-like-brown fiber seating and backrest. These chairs are very comfortable due to their resilience.